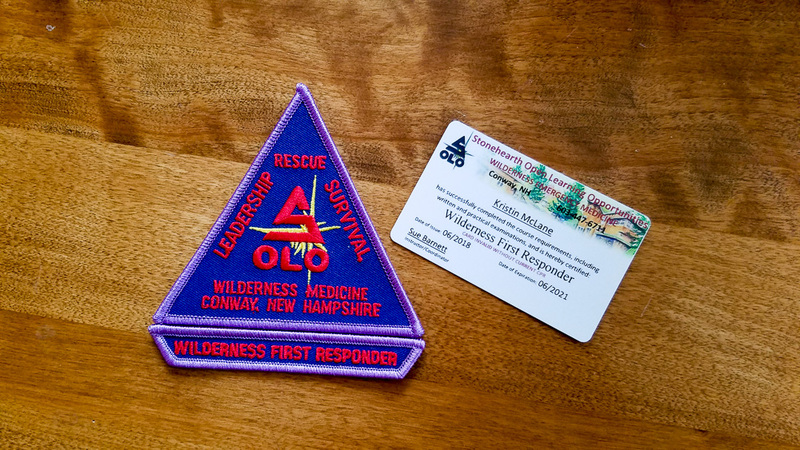 Last time I took my Wilderness First Aid recertification, I decided to try for the next level – Wilderness First Responder – when it was time to renew again. That time came this year, although my WFA did lapse for a few months before I could take the WFR. It’s basically an 8-day class versus a 2-day class so it goes into a lot more depth on each topic and goes into even more topics. I don’t actually need this certification for my job, but I can use it there occasionally, and I spend enough time in the wilderness that I want it for my own personal knowledge. 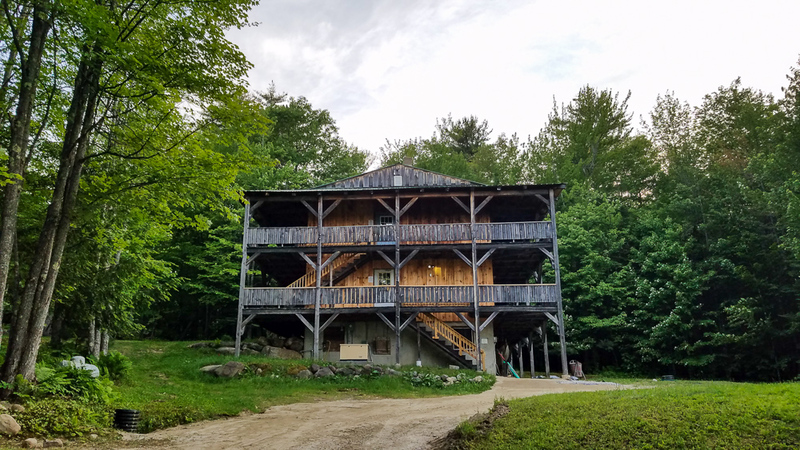 I took the class at SOLO’s campus in Conway, NH, a really beautiful spot. There are trails on campus, great views from up the road, and some really interesting architecture in the school buildings. It was back to dorm living for the week, but luckily I was rooming with Chuckles, with Jon next door. As some of the older people in the course, we were only assigned two to a room. There were plenty of 18-year-olds though and they were all packed four to a room. Ah, the privileges of age. Everyone had chores to do throughout the week, on teams that would variously clean up the kitchen, main building, gear, or dorm. None of the jobs usually took too long. The best part of the course was the food. Breakfast, lunch, and dinner were cooked for us every day, and sometimes random desserts in between. Everything was abundant and wonderful, and they accommodated special diets easily. The course was intense, with a lot of knowledge being thrown at us. But classroom time was mixed up with plenty of practice evaluating patients (other students) and working through scenarios of various injuries and illnesses. Our instructors, Sue and Josiah, were really great. They taught the class of thirty with ease and patience, answering everyone’s questions and demonstrating a lot of practical knowledge and experience; plus, they were fun. 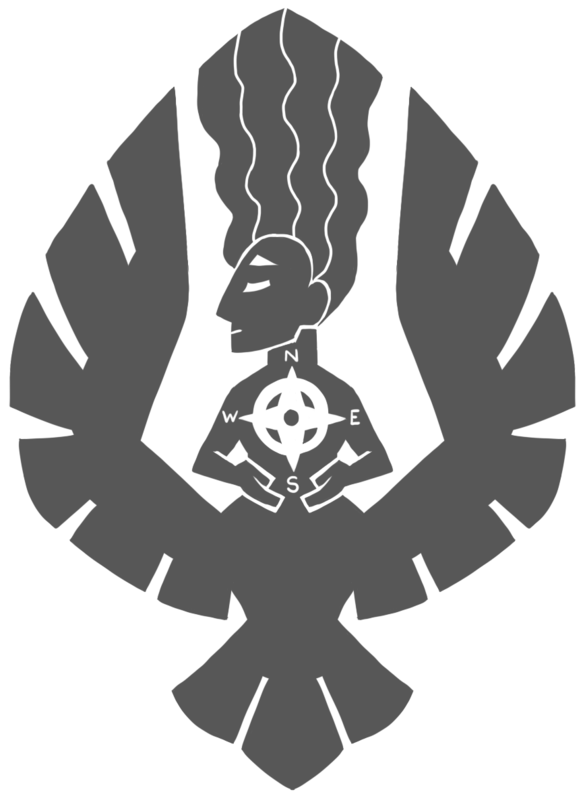 I found out that the WFR course is about the first third of the Wilderness EMT course, and it’s possible to take the rest of it within a year for that certification. While the idea of joining a search and rescue (SAR) team in Vermont is awesome, I looked up the ones near me and they only take really high-level people with lots of experience because there are apparently tons of those people available and there aren’t that many SAR calls. 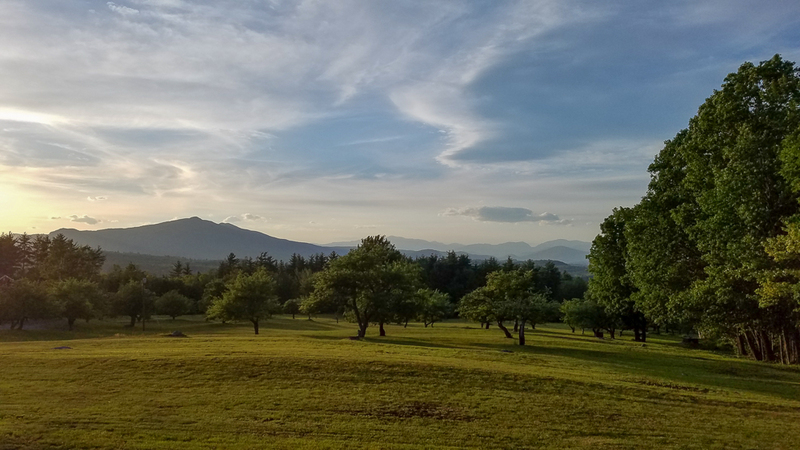 Unlike in NH, where you don’t even need any particular certification to help because there are so many calls, they just need bodies to search and help carry patients out. Plus, then I’d need to get into a whole state/nation registration cycle with eighty hours of class time every two years. For now, I’ll pass, but it’s something to think about for the future. This stuff is really interesting and useful.